Really? Nascar? Yep. Really. 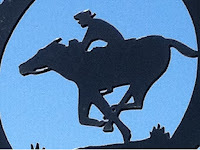 The Pony Express was all about speed ... and so is Nascar. Back in 1860, the Central Overland California & Pikes' Peak Express Company (IMHO the men who formed it could have thought of a snappier name) had only three months to accomplish everything needed to carry mail from St. Joseph, Missouri, to Sacramento, California in a mere 240 hours. That phenomenal undertaking inspired the imagination and enthusiasm of thousands of people--not the least of whom were dozens of young men undoubtedly attracted not only by the adventure but also by the phenomenal (for that time in history) pay: $25 a week. There's another similarity with Nascar, right? Big money. in control of fast "cars," navigating challenging "tracks," defying death ... and being paid very well for their efforts. In the 1860s, people talked about, wrote about, and glamorized the Pony Express. The riders' exploits were spread near and far. 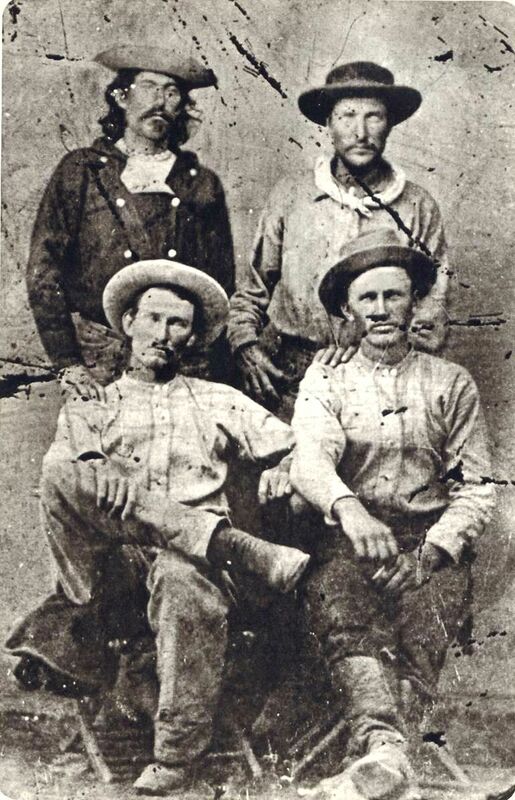 Even European newspapers wrote about them, and Buffalo Bill eventually immortalized them by featuring "Le Pony Express" when his Wild West toured Europe. 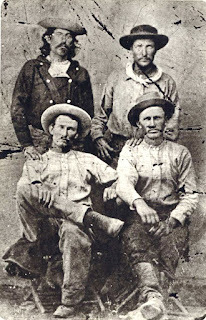 William Cates, who'd left Illinois during the Pike's Peak Gold Rush, was one of the riders who carried President Lincoln's inaugural address westward. "I remember when the superintendent rushed out where I was standing by my horse ... he was white with excitement. 'Ride as fast as you can, young man," he said as he locked the pouch, 'because President Lincoln's inaugural message is in here.'" During the winter of 1861, Richard Cleve (who'd been working as a freighter before becoming a rider) headed into a blizzard and endured temperatures as low as 40 below zero. "I got about seven miles from the last station and found it impossible to find the road ... it was a terrible night ... I got to the station at nine o'clock hungry as a wolfe, 40 below." William Fisher's life was saved by a jackrabbit when, after riding in blizzard conditions for some 20 hours, Fisher got off his horse and nearly fell asleep in a snowbank. " ... something jumped onto my legs and scared me. I looked up in time to see a jack rabbit hopping away through that snow ... If that rabbit hadn't brought me back to my senses I should have frozen right there." Irish immigrant Patrick McEneany survived a tornado. "... here I was a sicloon coming off to the right." McEneany gave the horse his head "and away he galloped to the left for about a mile ... there was hail as large as a teacup" and the cyclone "took a cottonwood tree about three feet from the ground and snapped it off like braking a match and took it clean across the Platte River." William Campbell (born in County Down, Ireland) once rode 130 miles in snow 2 1/2 feet deep. He changed horses three times and was in the saddle for 24 hours. As someone who has loved horses all her life, I stand amazed when I read about men riding across tough terrain for 75-100 miles, with only 2 or 3 minute breaks every 15 or 20 miles to change horses. Then again, I was the one content to WATCH when my husband and children did the "ride-alone" at the Charlotte racetrack many years ago. Feats of bravery? No. Not me. What about you? Are you someone who likes to take risks? Tell us a story! Stephanie Grace Whitson has been a full time novelist since 1994. Learn more by visiting her at www.stephaniewhitson.com or www.Facebook.com/stephaniegracewhitson-official. Her spring release is a story of the Pony Express, and researching that book inspired her admiration for the riders. It's really hard to believe the things those Pony Express riders survived--40 below zero! They sure must have been gutsy, determined young men. When I was younger, I was far more daring than I am now. I wanted to be mobile in the two years before I was old enough to drive a car, so I bought a Honda motorcycle with money I'd made babysitting. :) I loved that bike and rode it until I was able to get a car. Ah ... you were one of those kids who terrified their poor mothers ;-). We had a "no motorcycles" rule at our house. Well, actually ... I did. Until, that is, my husband helped our son pick one out LOL. "never say never" ... and now I ride a Honda, too. But I don't go fast and I'd never have wanted to ride for the Pony Express.